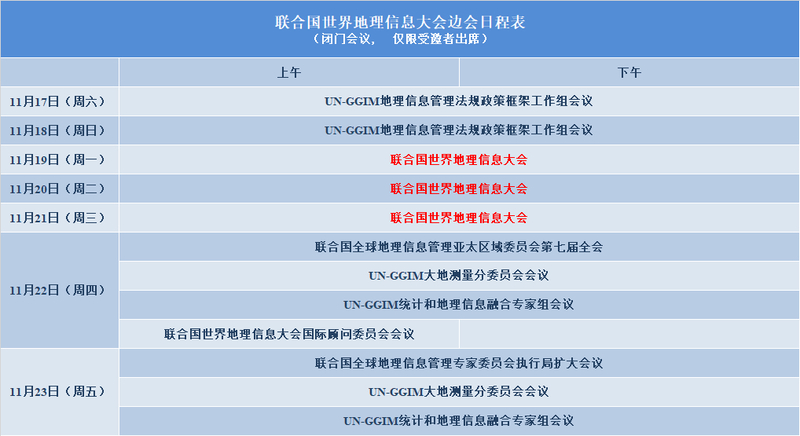 You are warmly welcome to attend the inaugural United Nations World Geospatial Information Congress (UNWGIC) to be held in Deqing, Zhejiang Province, China from 19 - 21 November 2018. The Congress will be comprehensive, comprising a series of thematic streams that stem from the overall theme of the Congress, principally focusing on strengthening national geospatial information management and systems, and national implementation of the 2030 Agenda for Sustainable Development. The overall event is expected to be a week long, and will include exhibitions, global and regional meetings, workshops and learning events, side events and meetings, including the 7th Plenary Meeting of the Regional Committee of United Nations Global Geospatial Information Management for Asia and the Pacific (UN-GGIM-AP), as well as the annual UN-GGIM Expanded Bureau meeting. All the geospatial professionals from governments, non-governmental organizations, academic and research institutions and the private sector are cordially invited to participate in the UNWGIC and contribute to the program, so as to work together to advance the potential and usefulness of geospatial information for sustainable development and towards a better world.